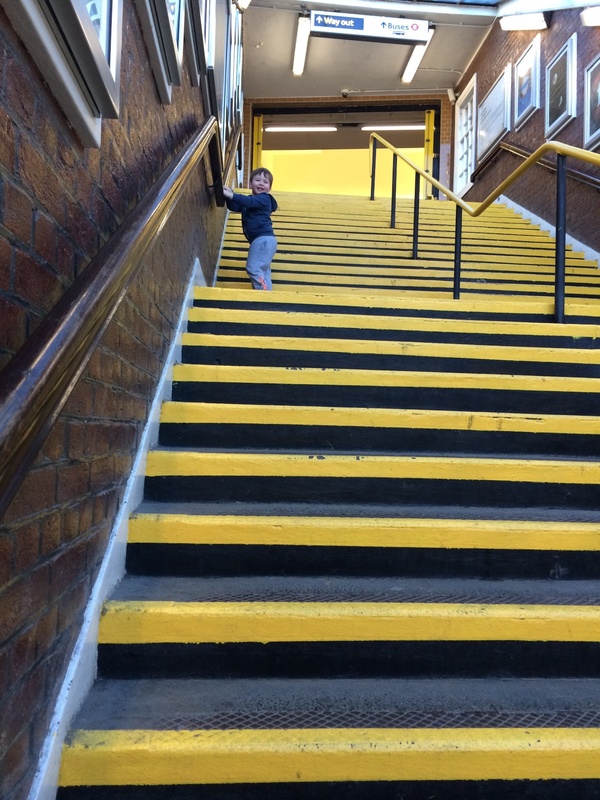 It’s been a while since we’ve ticked a tube station off our list but today we visited Stanmore. We weren’t actually on the train but as we drove past it would have been rude not to have stopped. 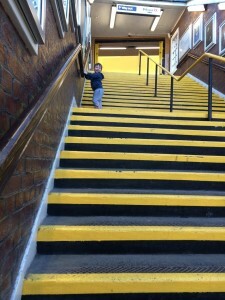 It’s a bit of a strange station, all above ground but you have to go down many steps from the station building to get to the ticket office and trains. Stanmore tube station is the northern terminus of the Jubilee Line in Travelcard Zone 5 and the northernmost station on the Jubilee Line. Stanmore station was opened on 10 December 1932, as the terminus of the eponymous branch of the Metropolitan Line, then transferred to the Bakerloo Line in 1939 and again to the Jubilee Line in 1979 (according to Wikipedia). 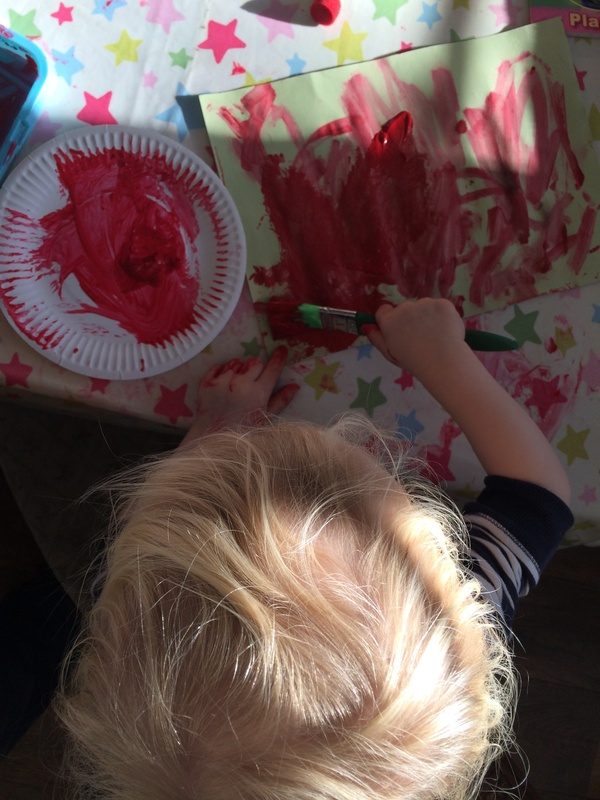 After all that exercise we were glad to get home to finish off our Remembrance day crafts. 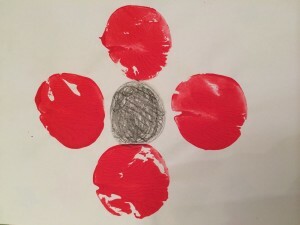 This involved lots of red paint. 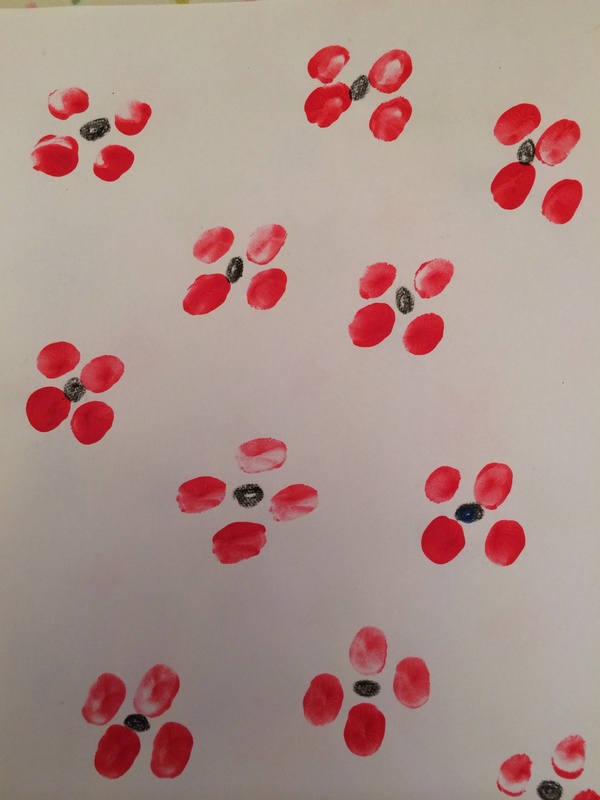 We made tiny finger print poppies. And also some larger apple print poppies (as we didn’t have potatoes!). I think they look great and are a fun way to learn a little about the importance of Remembrance Day.